As you all know, we have been in Midland the last few days for T.C. Tubb’s funeral. It’s been a really good weekend – being able to hear stories about his life, hearing people share how much they loved and admired him, and being with family. We’ve really been able to focus on the good and celebrate his life. 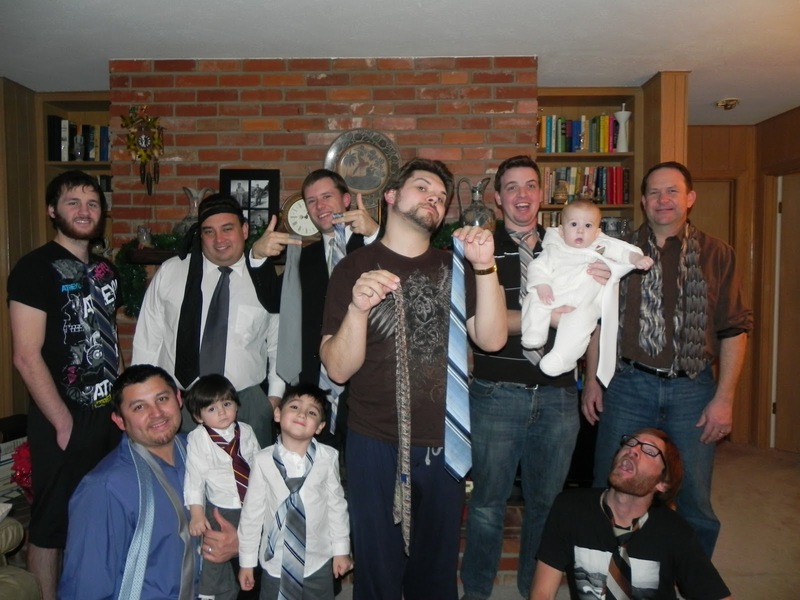 After the funeral, we all went back to the house and Grandma got out a few of Grandpa’s ties for the boys. Each boy got to choose a few [even Holden!] It was really special because each of us got to take something to remember a great man by – and we can even have a piece of him with us at church. I chose Grandpa’s temple tie for Holden [all white]. I chose it so Holden can wear it when he goes through the temple for his first time in preparation for his mission. He’ll be able to have his Great Grandpa with him on that day and I know that will add even more to it. Lori & I decided to stay until Tuesday morning so we could be with our Grandma while we’re here. We don’t have a chance to come out here very often so we want to take advantage! Allan & Robert [the husbands] left today and we miss them but it will be nice to have some girl time. I have to embarrass Allan really quick before I end the post 🙂 I picked up some fun Christmas PJs for me & Allan at Target a few days ago. 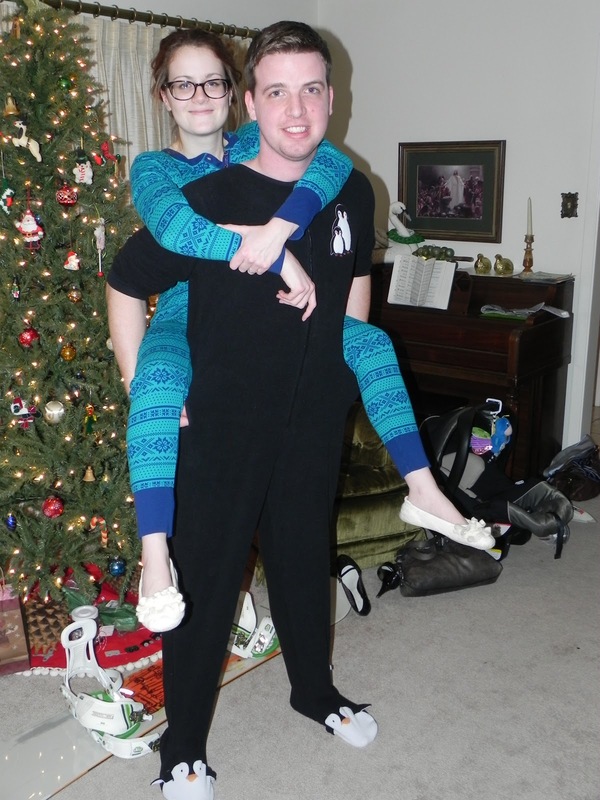 We will basically be living in these until Christmas is over 😛 Aren’t we hot? >Oh my gosh, I LOVE THE PAJAMAS! 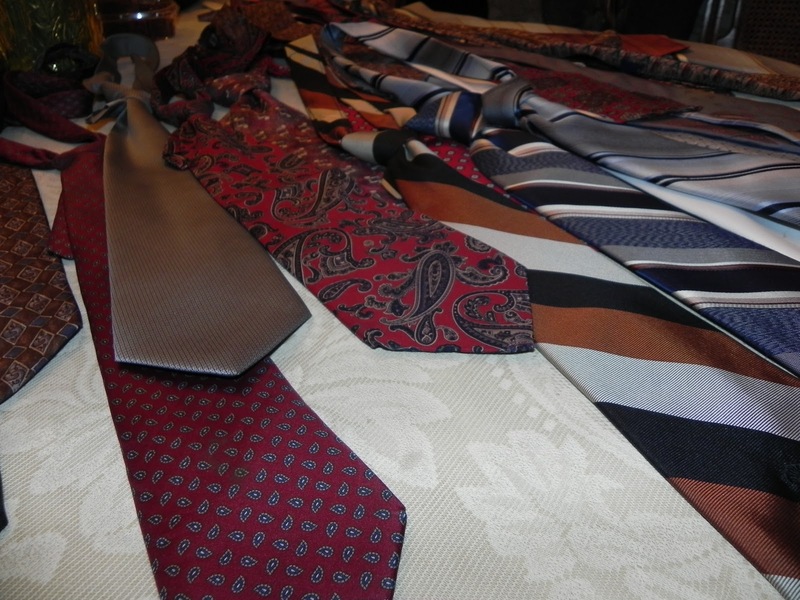 And I love the idea for Holden's tie. He will appreciate that later…H going on a mission. Please, let's not think about that. I will have too many kids by then.